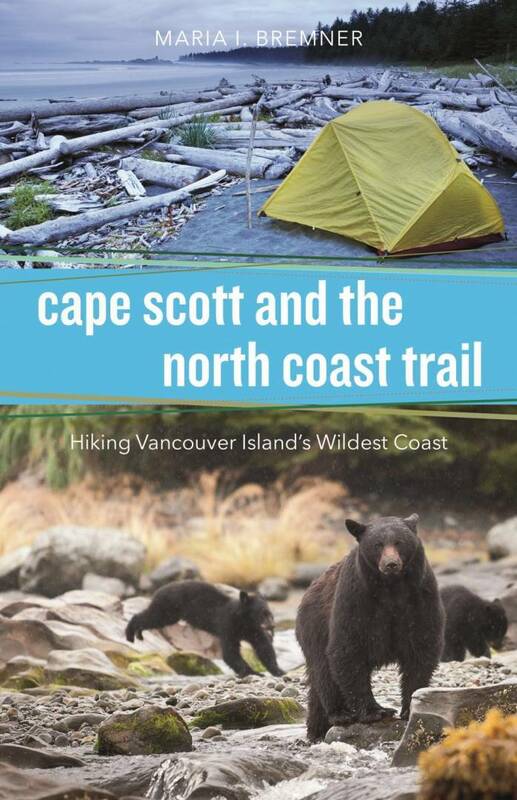 Maria Bremner's Cape Scott and the North Coast Trail (Harbour, 2015) is "part trail map, part field guide, part regional history"; and "the first comprehensive guidebook about one of Vancouver Island's most iconic destinations. "; Cape Scott Provincial Park, with its 115 kilometre-long coastline, sits at the northernmost end of Vancouver Island and holds the recently finished North Coast Trail. Annually, thousands of people make the trek up-island, intent on hiking this route, one that encompasses sandy beaches, rocky headlands, towering conifers and bogs housing creatures and plants of the Pacific Northwest. Cape Scott and the North Coast Trail offers maps, photographs and all of the details that any visitor (or curious reader) would want to know. Maria Bremner studied English and Environmental Studies at the University of Victoria. She is a writer and avid hiker, with significant experience hiking the trails of Vancouver Island. Cape Scott has held a special place in her heart since her first visit in 1998. She lives in Victoria, BC.